For anyone worried that year '13 would prove unlucky for the beautiful places in our midst, take heart: Though we did lose some irreplaceable historic places this past year, we also celebrated a remarkable number of preservation wins throughout the country. Let's look back at some of 2013's biggest success stories and get inspired for the year ahead! Peavey Plaza -- Minneapolis, Minn.
Peavey Plaza, a modernist "park plaza" designed by M. Paul Friedberg and Associates, is one of the few works of landscape architecture listed on the National Register of Historic Places. Since its completion in 1975, the Plaza has gained credit for helping to revitalize downtown Minneapolis and in 2008 was listed among the “Marvels of Modernism” by The Cultural Landscape Foundation (TCLF). 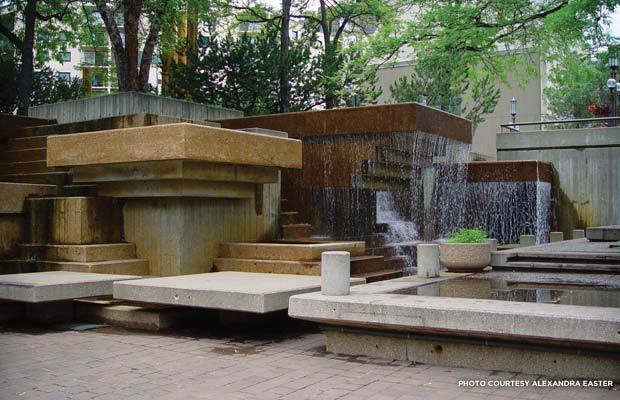 In 2012, the City Council of Minneapolis voted to demolish Peavey Plaza and replace it. TCLF and the Preservation Alliance of Minnesota (PAM) sued to prevent demolition and succeeded in August 2013 in reaching a settlement agreement with the City that calls for the Plaza's rehabilitation. 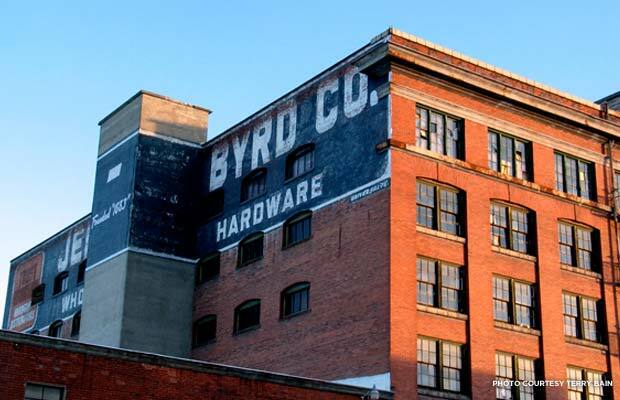 Jensen-Byrd, a 104-year-old former warehouse, was acquired by Washington State University (WSU) in 2004, but has remained vacant for the past decade. The University tried for six years to find developers ready to convert the building into commercial or residential units without success. WSU was ready to sell the empty warehouse to a Texas company, Campus Advantage, which planned to tear it down and replace it with modern student housing. Last year, preservationists, including Spokane Preservation Advocates, convinced the university to pursue the building’s restoration instead. WSU Spokane Chancellor Lisa Brown said the goal now is to turn the former commercial structure into a “gateway” building at the west edge of the Riverpoint Campus and University District. Fort Monroe -- Hampton, Va.
On December 12, 2013, Virginia Governor Bob McDonnell approved the Fort Monroe Authority’s master plan to restore and revitalize historic Fort Monroe. 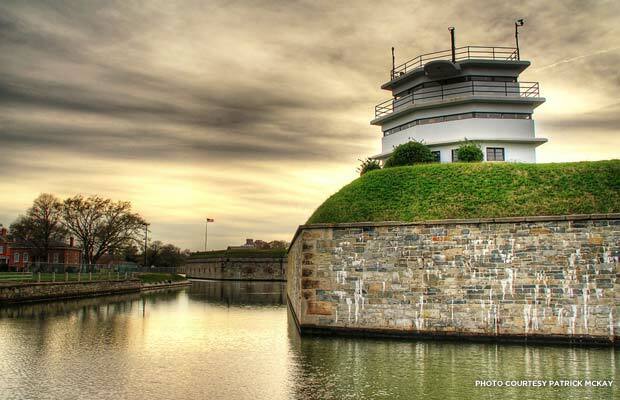 Fort Monroe lost its original use as a military base in 2005 and the Army moved out in 2011. 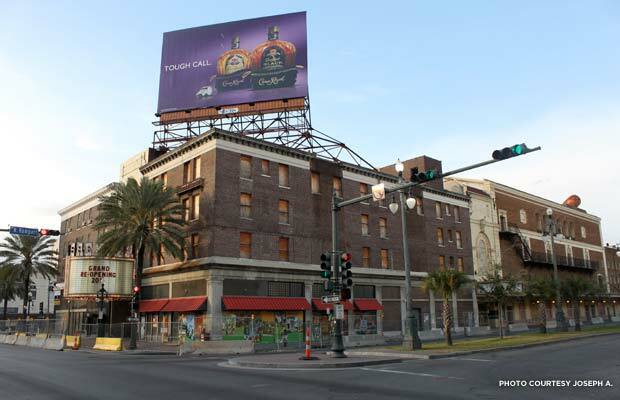 Under the newly approved master plan, developed by the international design firm Sasaki & Associates, historic buildings will be put to new, productive uses, and the risk of deterioration, neglect, and vandalism will be significantly reduced. Preservation-friendly developers, who were waiting for the master plan approval, now can move forward with projects to rehabilitate Fort Monroe’s historic buildings using the federal and state historic rehab tax credits. Stamford Post Office -- Stamford, Conn. 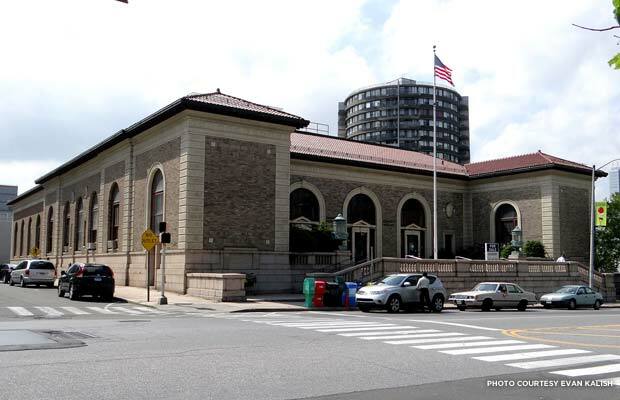 In late September 2013, the Stamford Post Office was sold to Cappelli Enterprises, a commercial real estate company that intended to build a 20-story luxury apartment building on the site that would require the demolition of the historic post office’s 1939 addition. The legality of the plan was questioned by preservationists, and a month later on October 28, a federal court ruled against the Postal Service. The court sided with the plaintiff, and claimed that prior to selling the property the Postal Service did not comply with federal environmental law requirements as defined by the National Environmental Policy Act (NEPA). The lawsuit’s outcome has strong implications for the future transactions concerning historic post offices across the country. The court’s ruling clarified that preservation advocates have more influence than originally assumed by the agency, and that USPS must take its federal historic preservation responsibilities seriously. The Federal Ninth Circuit Court of Appeals in July ended a four-year lawsuit when it ruled that the Bureau of Land Management (BLM) violated federal laws protecting the historic and cultural sites of the Upper Missouri River Breaks National Monument, including teepee rings left behind by native tribes and abandoned homesteads and lookout sites used by Meriwether Lewis. 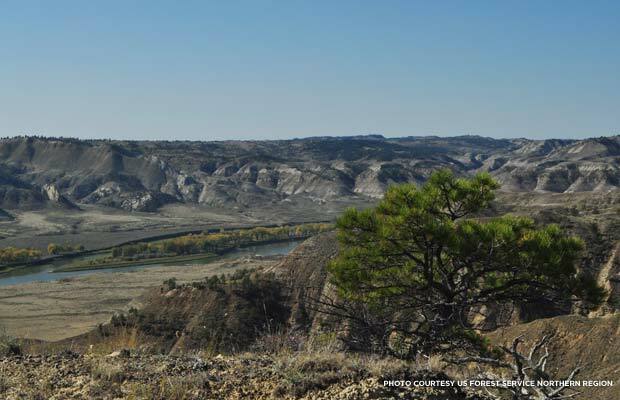 This was one of the first cases dealing with the monument management of BLM. The final ruling ensured the long-term preservation of the monument and also helped to clarify the role of the National Historic Preservation Act in the monument planning process. Terminal Island -- Port of Los Angeles, Calif. The Los Angeles Board of Harbor Commissioners approved a Port Master Plan Update on August 8 that designated a path for the preservation of vacant historic buildings located on Terminal Island, a National Treasure site also featured on the National Trust’s 11 Most Endangered Historic Places List in 2012. The island was a major shipbuilding center during both WWI and WWII and is credited as the location where America’s tuna canning industry came of age. 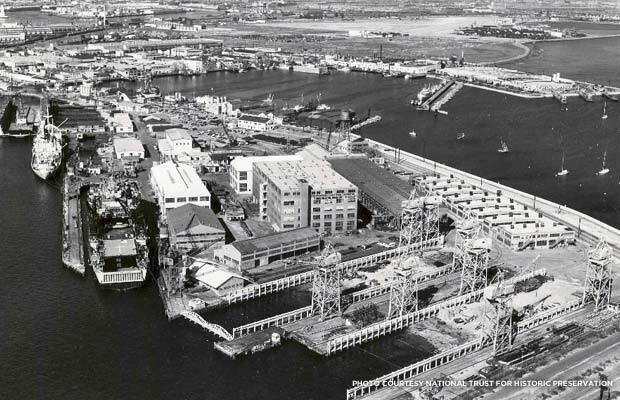 Though it was threatened by a plan in 2011 which neglected the idea of adaptive reuse and called for demolishing structures on the island, the final Plan Update has set an example for how the adaptive reuse of buildings can be an effective strategy for achieving economic success for working ports across the nation. Wrigley Field -- Chicago, Ill.
Wrigley Field has served as the home to the Chicago Cubs since 1916 and is the second-oldest venue after Boston’s Fenway Park. 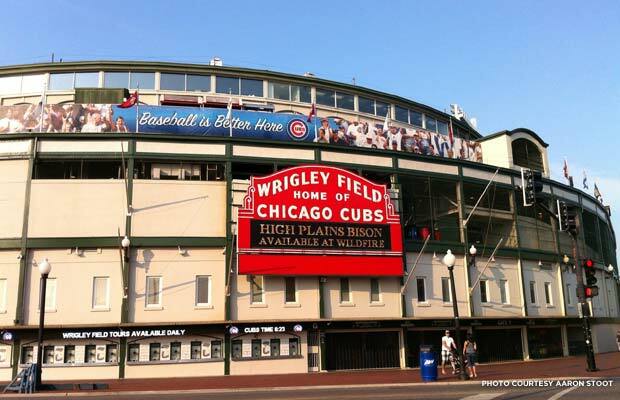 The Rickets family purchased the ballpark along with the Cubs in 2009 and began pushing for massive renovations of the historic stadium to update its amenities for both players and patrons. Addressing the concerns of the preservation community, the Cubs are pursuing renovations with the help of T. Gunny Harboe, a renowned preservation architect, and also plan to apply for preservation tax credits to go towards restoring the ballpark’s historic elements. The First State National Monuments, Del. and Pa.; the Rio Grande del Norte National Monument, N.M.; the San Juan Islands National Monument, Wash.; the Charles Young Buffalo Soldiers National Monument -- Ohio; and the monument commemorating Harriet Tubman and the Underground Railroad, Md. 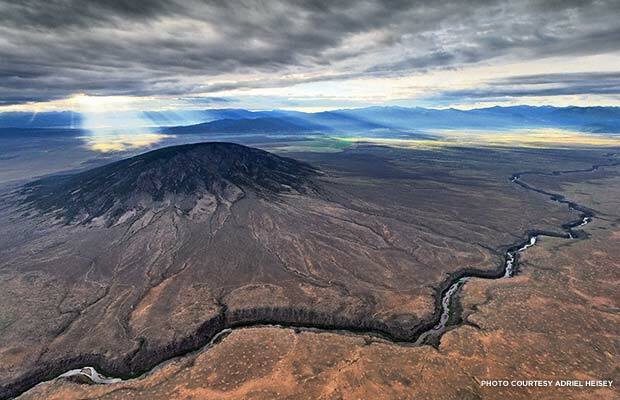 President Obama invoked his authority under the Antiquities Act to designate five new National Monuments on March 25, 2013. Each site represents a diverse chapter in American history from the Native American and Latino communities of Rio Grande del Norte to the Underground Railroad and the Buffalo Soldiers who bravely offered their services during the Civil War. Saenger Theatre -- New Orleans, La. This beloved movie house first opened in 1927, boasting an interior styled to look like a 15th-century Italian courtyard and a ceiling painted to emulate the night sky. It symbolized New Orleans’, and America’s, last flush of prosperity before the Great Depression. Following its conversion to a performing arts space in 1970, the Saenger saw acts such as Johnny Carson, David Bowie, and Bill Cosby. In 2005, Hurricane Katrina caused massive water damage to the theater’s interior, including basement was filled with over 20 feet of water during the storm, covering the stage and causing damage to administrative offices and the box office. Through a public-private partnership and help from the federal rehabilitation tax credit program, plus a strong show of interest from the local community, the venue re-opened this past October after an eight-year restoration. Charleston has long been recognized as one of the most beautiful historic cities in the nation and was one of the first National Treasures identified by the National Trust when we first began to implement the program. 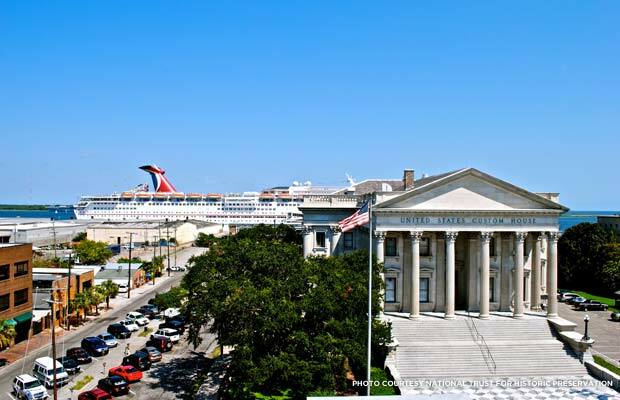 However, several years ago, Charleston became a home port for Carnival Cruise Lines. As a result, the number of cruise ships and passengers has increased exponentially, creating significant impacts throughout the National Historic Landmark district. But, on September 18, the U.S. Federal Court found the U.S. Army Corps of Engineers failed to comply with the National Historic Preservation Act when it approved a permit to construct a new cruise terminal on the waterfront. The ruling reinforces our long-standing campaign that the Corps must do a better job complying with federal preservation laws which protect thousands of historic places across the country, including Charleston. Still, we are hopeful that 2014 will mark more notches in the "save" column than in the "lost" column -- especially with the hard work, commitment, and vision of place-lovers like you. Do you have a preservation story from 2013 that will inspire and galvanize folks for the year ahead? Share it with us in the comments.